Me and my family are spending the Summer months at Hungary’s Lake Balaton for years. I keep being impressed by the beauty of the Sun on the water, and the strength of the wind. 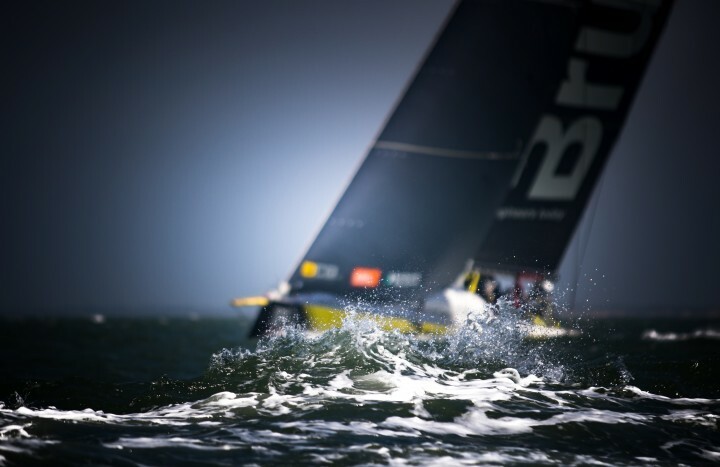 I’m fascinated to watch the windsurfers and sailing boats – in any shape or form – fighting against the elements of nature to grab the best possible result on the water. As we have 3 kids, family duties initially allowed photography to be pursued as a hobby. Then, in 2016, I’ve decided to turn into a professional photographer. In the past two-and-a-half years I’ve received prestigious awards, including winning the Photography Award of the Bol d’Or Mirabaud, then one of my artwork was selected for the exhibition of the Hungarian Olympic Committee. Several of my pictures were printed in the Sports Photography of the Year 2017 album. My international pedigree includes the finals of the 2017 Vendée Globe (reporting on the brilliant 8th place finish of Hungarian sailor Nándor Fa), the Alicante start and The Hague finish of the Volvo Ocean Race 2017/2018; the Centomiglia on Lake Garda; selected events of the 52 SUPER SERIES, as well as at the start of the 2018 Golden Globe Race. In my home country, Hungary, I’m working as a regular photographer on the “Kékszalag” (Blue Ribbon), the most prestigious around-the-lake regatta on Lake Balaton. Besides, I’m one of the official photographers at motor racing events held at the Hungaroring circuit.